AT&T continues its rapid deployment and expansion of LTE service in several markets in Arizona, Arkansas, South Dakota, Ohio, North Carolina, Minnesota, Oregon, Pennsylvania, New York, New Jersey and Illinois. 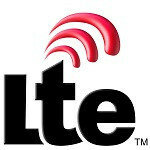 LTE service has also been expanded in Nevada, Mississippi, Pennsylvania and California. AT&T, while playing catch-up with Verizon Wireless is making impressive progress in rolling out LTE service, enough so that some of these new markets are rather rural in comparison. Meanwhile, subscribers in Reno, Nevada should see an expanded LTE footprint. AT&T launched that network in December. Folks in eastern and central Mississippi should also “see more bars in more places” when it comes to LTE service. Salinas, California, which is not too far from the beautiful city of Monterey boasts LTE service as well. Finally, the communities around Scranton and Clarks Summit, Pennsylvania have more LTE service to enjoy. AT&T is well on its way to reaching or exceeding its goal to have 250 markets covered by the end of the summer.